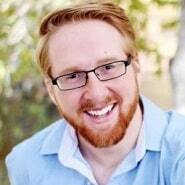 Should We Stop Talking About Interoperability? If the internet has taught us anything about humans, it’s that we have notoriously short attention spans. Research suggests that the optimal video length on social platforms is 30 seconds to 2 minutes; 280-character tweets and apps like Vine — which doesn’t allow videos longer than 6 seconds — make it clear that people have a hard time focusing on one thing for long. Step 1: Stop talking about interoperability. Step 2: Just start doing it. Healthcare professionals are sick of the interoperability conversation; they’re ready to focus on something newer and more exciting. I agree wholeheartedly that it’s time to change words into action. I worry, however, that with our rapidly shifting focus, we may stop talking about interoperability and forget to actually do it. 2018 has only just begun, and I already see that the driving topics of the year will be AI, machine learning, blockchain, and so on. These are all worthwhile pursuits, but I still can’t get my medical records from one doctor to another without an act of congress — literally. The recent KLAS data suggests that we may be in danger of hitting on Step 1, and getting distracted before we reach Step 2. 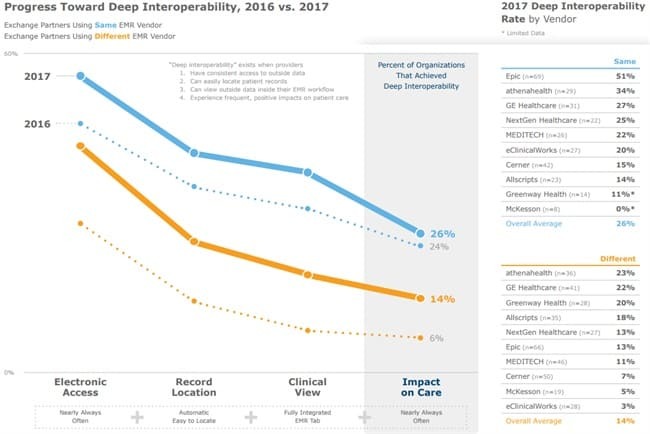 Since KLAS’ 2016 study, the industry has slightly moved the needle on “deep interoperability,” but we still have a long way to go. Even sites who use Epic’s EMR — the EMR notoriously believed to have interoperability in the bag — aren’t in a great spot. Only 51 percent of the Epic clients we spoke with reported a deep, impactful level of data exchange. Clearly, the interoperability problem hasn’t been solved, and rehashing the same conversations of the past decade won’t help the cause. But instead of cutting off our interoperability conversations, we may just need to shift them. 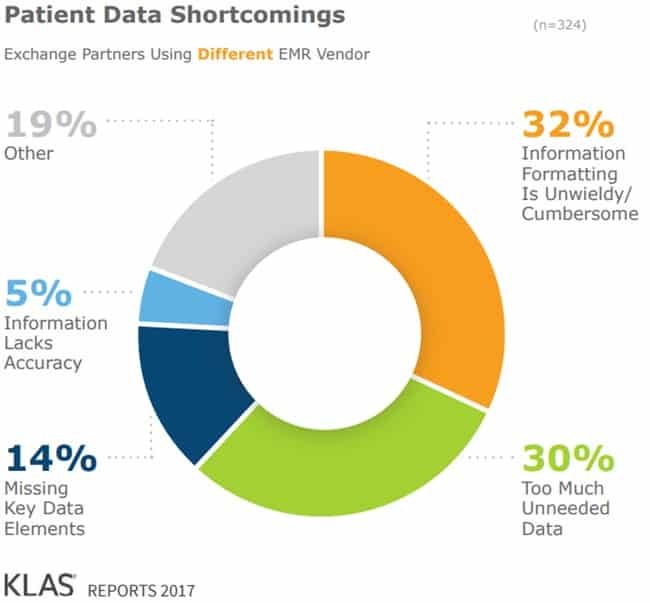 KLAS’ 2017 study shows that, while the amount of data that care providers pull in from other systems has increased since 2016, the efficacy of that data is still quite low. With 62 percent of exchanged data being cumbersome or unneeded, I think it’s time to make our discussions about refinement, not just availability. Those who use Android (heresy, I know) may be familiar with the Google Assistant. After I had completed the initial setup of this Siri competitor (and subsequently given it enough personal data to render me very uncomfortable), my Google Assistant started providing me information and tips in something of a “firehose” fashion. Because I was a new user, Google Assistant had not yet learned which tidbits of information I wanted. After two years of using the system, I now have a comfortable and seamless flow of information between my personal and professional accounts, along with news, traffic, weather, and sports updates that I care about. The firehose has narrowed into a steady trickle of useful insights and data. It only makes sense that our early interactions with exchanged data will also involve the firehose effect. Over time, I expect and hope to see the same honing of data that I experienced with Google Assistant. This will require healthcare professionals to talk less about interoperability in general and more about the specifics of the data we’d like to see exchanged and then used at the point of care. After all, impactful data is worth talking about.